Proposed model of mechanical activation of a Piezo1 ion channel. Based on “Ge et al. 2015. Architecture of the mammalian mechanosensitive Piezo1 channel. Nature, 527: 64-69”. Molecular structure derived from PDB (ID: 3JAC), with peripheral blades added by the artist. Dr. Jim Bear provides a tutorial on the four steps of cell movement. 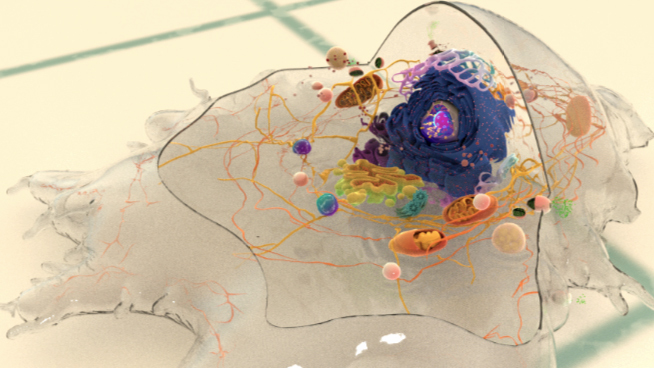 This cell movie shows the fourth step in cell movement - retraction. Source: Giannone G et al. Cell (2007) 128:561-575. Permission: Prof Mike Sheetz, Mechanobiology Institute, Singapore and Columbia University, New York, USA. (http://www.columbia.edu/cu/biology/faculty/sheetz/) Differential interference contrast microscopy of mouse embryonic fibroblasts plated on fibronectin, 100x (22pix/μm), 0.33 s/frame.